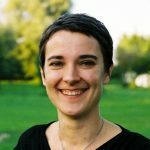 Anne Boring is a researcher in economics at Sciences Po (LIEPP, PRESAGE), where she is also Scientific Advisor for pedagogical innovation. She studies the impact of gender biases and stereotypes on women’s educational and career trajectories. Since the mid-2000s, women have outnumbered men in higher educational attainment in nearly all OECD countries. However, men and women’s labor market outcomes remain substantially different. For instance, there is a persistent gender pay gap that starts right after graduation. Why do women keep earning less? There are several complementary explanations. One of the main reasons is that gender stereotypes unconsciously influence women’s (and men’s) higher educational choices. For instance, gender stereotypes partly explain why women choose to earn degrees in fields that lead to lower paying jobs. Many of the higher paying jobs require degrees in one of the science, technology, engineering and mathematics (STEM) fields. In these fields, men continue to outnumber women. Research by economists Scott Carrell, Marianne Page and James West suggests that a lack of female role models is one of the reasons why women choose less often to major in STEM fields. Using data from the U.S. Air Force Academy, they show that female students who are assigned to female professors for their mandatory introductory courses in math and science tend to perform better and to persist longer in STEM fields compared to female students who are assigned to male professors. This is especially true for top-performing female students. Universities can be highly competitive environments, encouraging behaviors more closely related to agentic, stereotypically male, characteristics. In research I conducted with Jen Brown, an economist at the University of British Columbia, we examine the choices of male and female students in a competitive higher educational environment. Undergraduate students at a selective French university compete for spots in foreign universities where they will fulfill their mandatory international exchange program requirements. We find that female students tend to request universities that are worse than their academic standing, and this is especially true for the top performing students. Women may underestimate their chances of getting into highly selective universities. We also find some evidence that the female students with high academic ability shy away from asking for top universities because of the competitive nature of the assignment process. Male students, however, do not shy away, and therefore tend to get a majority of the spots available in the better universities, despite academic levels similar to female students. Female students especially tend to avoid signaling agentic characteristics in situations in which they are observed by others. Economists Leonardo Bursztyn, Thomas Fujiwara and Amanda Pallais find that when unmarried female Harvard MBA students believe their classmates will observe their answers to a survey on career expectations, they tend to report lower ambition regarding their desired salaries, and declare lower willingness to travel and to work long hours in their future careers. They also tend to participate less in class, thus shying away from situations in which their unmarried male classmates may perceive them as being too ambitious. Interestingly, married female students show similar levels of career ambition as both married and single male students. The authors conclude that the unmarried female students prefer to lower their ambitions and to demonstrate stereotypically female characteristics, in order to remain attractive on the marriage market. Similarly, in a 1993 study, Laurie Heatherington and coauthors ran an experiment in which students were asked to predict their grade point averages (GPAs). When women expected other students to see their estimates, they tended to report lower GPAs than male students, and compared to when they did not expect other students to see their estimates. Preserving good social relations with their peers may be more important for female students than showing self-confidence in academic ability. These choices and behaviors may have large impacts on women’s careers. For instance, if women choose less ambitious educational paths, they might enter the job market with CVs that are less impressive than their true academic ability. Also, if women shy away from some situations in which they may be under the spotlight, they might be missing opportunities to practice some skills that will be useful in their future careers. This is especially true of public speaking skills: if women avoid speaking in public at the university level, they are missing opportunities to practice and develop this essential workplace skill. 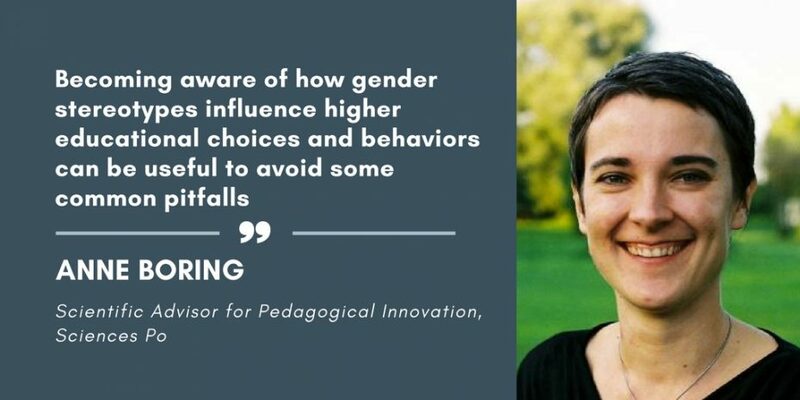 Becoming aware of how gender stereotypes influence higher educational choices and behaviors can be useful to avoid some common pitfalls that may have large consequences in the early stages of a woman’s career.